This week we kicked off our Bug Bash including Windows Insiders with the Windows 10 Insider Preview Build 14332 for PC and Mobile. 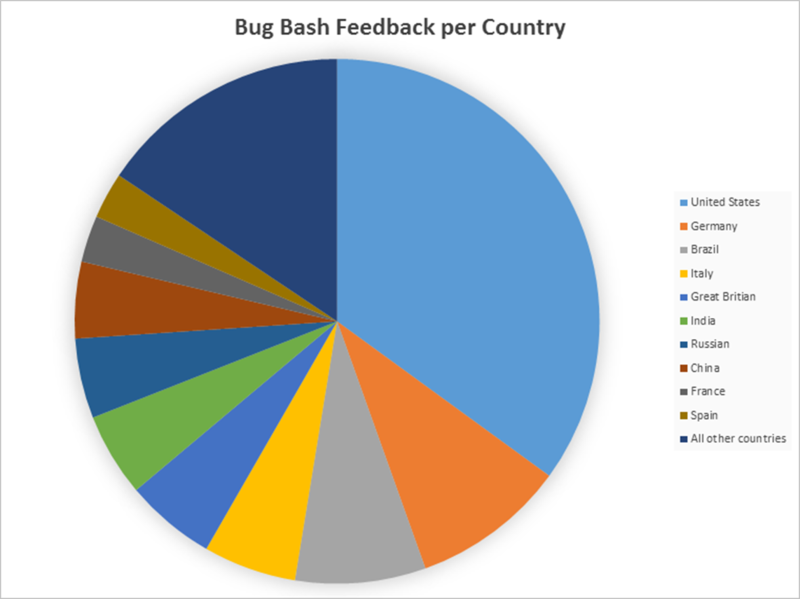 Everything you need to know about how to get started with the Bug Bash can be found in the Feedback Hub article here. We wanted to take a moment and say THANK YOU for participating in the Bug Bash and providing great feedback. Your feedback counts and goes a long way in helping shape Windows 10! Keep an eye out for LIMITED TIME Quests in Feedback hub as these get published by 3pm PST and expire within 24 hours. Today’s Quests are available here. The theme for today’s Quest is Windows and Devices interaction. Windows Insiders are as diverse as the devices Windows interacts with. Your devices are unique and we want to understand how to make your experience better with the Windows 10 Anniversary Update. Let us know how well Windows works with your hardware including, graphics, Bluetooth, Camera, audio, etc. and the overall power management of Windows 10. We are also interested in your feedback using modern devices experiences like Continuum and PC Access through the Connect App. Engineering teams are actively going through this feedback that has been received, understanding the issues, prioritizing, and then determining what next to do. If you have feedback on the Bug Bash or ideas on how to make it better, leave feedback in the Bug Bash Feedback Hub feedback. Thank you again for being part of making Windows 10 better. Keep the feedback coming and we will continue sharing updates on the Bug Bash!